Simon Enciso was in Boracay enjoying his short mid-season break. He had just come off the best conference of his young PBA career. 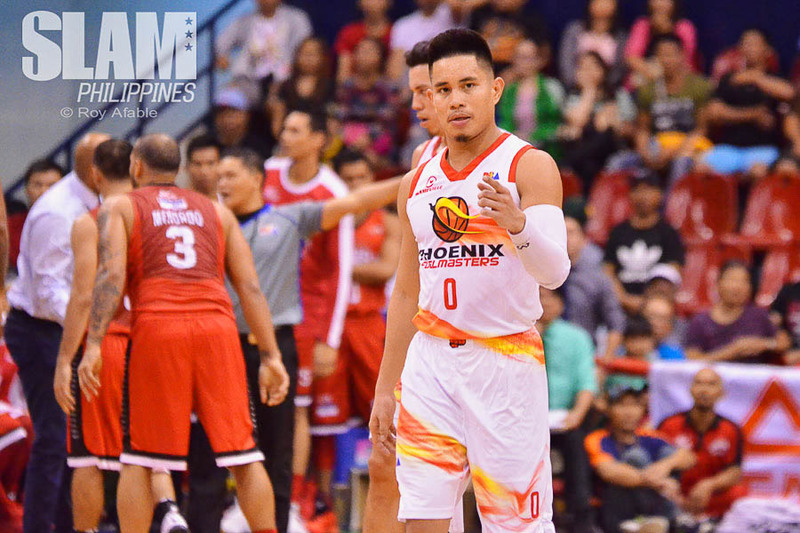 In the process, he helped the equally young Phoenix franchise earn its best finish in its three conferences in the PBA. Simon deserved the quick getaway. It was something he needed before going back to the gym, putting on his red jersey and putting in the work. But as he walked across the white sand of the glorious island, he received an important phone call. It was his agent, informing him that he would be wearing a different red jersey when he returned to Manila. Simon had just been traded to Alaska. 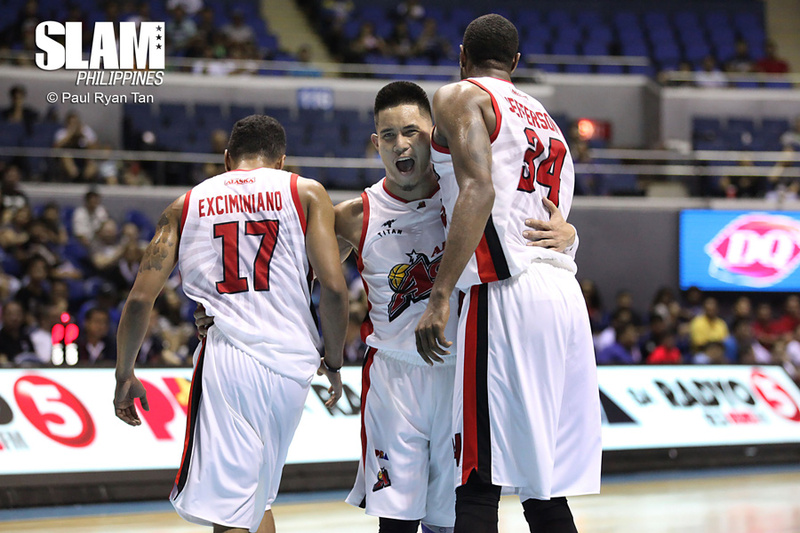 It was his fourth team in five conferences in the PBA. In only his second year in the league, the 26-year-old guard had already become a journeyman. However, even with the term having a negative connotation in the world of basketball, it wasn’t something that bothered Enciso, because this journey of his had actually started many years ago. Growing up in California, Simon and his family were always on the move. They jumped from one house to another, trying to find better economic and financial situations. “I guess houses got a little too expensive. Situations had us moving houses all the time,” Simon recalled. The Encisos made stops around Sacramento and in Vallejo before finally settling down in Daly City. By the time he was in college, teenaged Simon already knew what he wanted in life. So he chased the dream. That meant having to go try his luck in different colleges. That meant making life-changing decisions like flying out to the Philippines. Ultimately, that meant having to be separated from his family. “I’m always gonna make the right decision for my family – even if it means having to pack my bags and head out somewhere,” said the older of two Enciso siblings. For some Filipino-Americans, coming over to the country in search of a basketball career is an experiment. They see it out for a couple of months. If nothing develops, they go back. But in Simon’s case, he was hell-bent on making something happen. So he did what was necessary. He applied for the PBA D-League Draft and was selected by Cebuana Lhuillier as the third pick of the third round. After a solid stint with the Gems, he threw his name into the PBA Draft. On August 23, 2015, Commissioner Chito Narvasa called out Simon Enciso’s name as the 17th overall pick. He was chosen by Rain or Shine. But the very day after, he would immediately make another move for basketball’s sake. 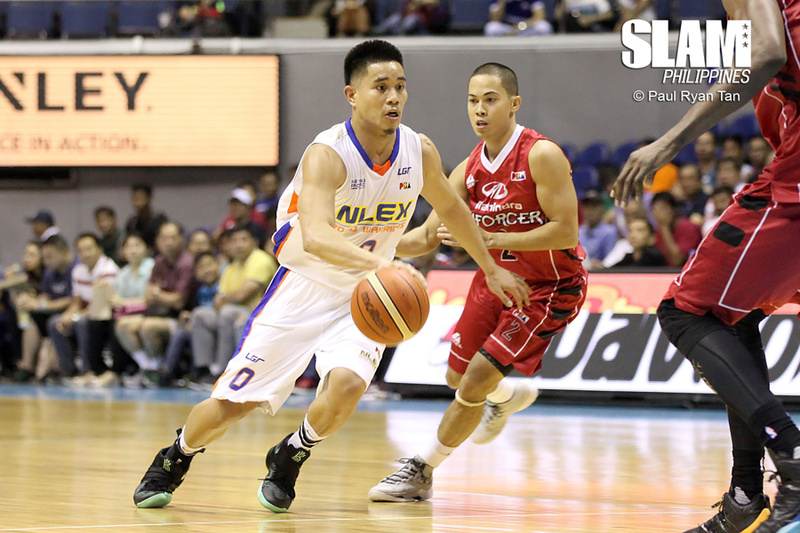 Barely 24 hours after becoming an official PBA player, Simon was traded to NLEX. In his very first PBA game, wearing an NLEX Road Warriors uniform, he dropped 15 points on five three-pointers. He turned a lot of heads towards him and made it to headlines across the Internet. Simon had a few more good games with NLEX. But as any player does, he also had off nights. Later in his rookie year, management decided it was best to take an offer that would send Simon to his third PBA team. In a trade with the Phoenix Fuel Masters, NLEX swapped Simon Enciso and Mark Borboran, in exchange for Emman Monfort and Mac Baracael. Once more, Simon had to remind himself of his purpose here. And of the situation that he had to be at peace with. Simon stayed open to whatever Phoenix had in store for him. And eventually, he found this paying off. He felt very comfortable with his new team. He was surrounded by guys who shared his passion. He had a great tandem working with Matthey Wright. He was filling a role that he thought he could excel in – a point guard who was in control of the team’s offense. Simon was playing well and so was Phoenix. In the Philippine Cup, he averaged 11.8 points, 2.8 rebounds and 3.6 assists. The Fuel Masters took the seventh seed with a 6-5 slate. And yet, despite flourishing with and on the team, he got that phone call in Boracay. “Getting traded didn’t really come off as a shock. I’ve been through that situation before. But I was surprised that I got moved to a different team because I was playing so well,” Simon recalled. The tapes, the win-loss record and the body language of the team said there was something special in there. But apparently, it wasn’t enough. Understandably, Simon had a lot of thoughts running through his mind. Questions and regrets. He wondered what happened and what could have been. But if there’s one thing he’s learned throughout his journey, it’s to just keep going. Simon admits to being conscious of his statistics when he was back in the D-League. Even with Phoenix, he felt some sort of burden to score big and put up numbers across the board. But now that he’s with Alaska, he’s discovered something bigger. In his first game with the Aces, he only had eight points. But Enciso grabbed four rebounds and dished out six assists. In his second game, he only made one of his eight attempts. He finished with two points. But he had seven assists. Compton definitely has a spot for Enciso in Alaska. He highlights the guard’s ability to shoot and take it off the dribble. But at the end of the day, Coach Alex reminds him that it’s about the team. This is what’s going to make this work. This is what Alaska wants and this is what Simon can bring. They share the same mentality, the same goals. “It fits my mindset and mentality. Everyone’s so competitive. It’s all about defense and winning championships. And I want to be part of that,” he shares. It didn’t take too long before Simon understood that what he has with Alaska is also something special. The thoughts he had after getting traded for the third time no longer needed to be addressed. The questions have stopped demanding answers. In sports, the term journeyman is something players avoid. It’s usually for older guys, nearing the tail-end of their careers. It’s commonly reserved for that point when a player moves from team to team in chase of a championship or of mere relevance. But Coach Alex reassures Simon that this does not make him less of a player. In fact, it speaks highly of him. For how far he’s come in his young career, Simon has already proven so much. And as he continues to find himself in his new home, things can only get better. He can only get better. Simon left a life in the States to chase a basketball dream. And he knew it was going to be a long journey. He knew there were going to be a lot of stops and checkpoints. He was ready for all of it. And he continues to be. Whatever lies ahead, Simon Enciso will always be ready.